This is a nationwide Nuisance Wildlife Control and Animal Removal Directory of professional wildlife control companies that provide complete nuisance animal removal and control services throughout the United States. 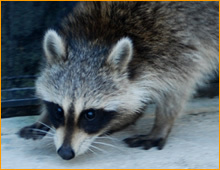 Wildlife control provided for the removal and control of snakes, bats, birds, bees, squirrels, raccoons, groundhogs, opossums, armadillos, snakes, and other nuisance wildlife. Professional animal trappers and wildlife control operators provide animal removal services in the areas of the following states of: Alabama, Arizona, California, Colorado, Connecticut, Delaware, Florida, Georgia, Idaho, Illinois, Kentucky, Louisiana, Maryland, Massachusetts, Michigan, Minnesota, Missouri, New Jersey, New York, North Carolina, Ohio, Oklahoma, Pennsylvania, South Carolina, Tennessee, Texas, Utah, Virginia, Washington, West Virginia, and Wisconsin. Just click on the state that best represents your location and call the number listed on the page: If you live in any other area and have a wildlife problem, please just fill out our request info form and we will find you a reputable nuisance wildlife control expert in your area. We have a qualified list of hundreds of qualified providers and I am sure we can help! Our Nationwide Animal Removal professionals focus on non-lethal, humane, animal removal and control solutions for trapping and removing nuisance wildlife from your residential home or commercial business. Every effort is made to trap the animals in the most humane way possible. Our experts believe that animals and humans should co-exist with each other in the local community. We will educate you every step of the way and provide you with a list of recommendations that can be used for animal exclusion from your home and prevent them from returning. To Use this page, Just click on the State you are located in, then click on the clity that is closest to your location and call that Animal Removal professional, All Companies listed on this site have been verified and are all capable of handling any problem you may have. All have Verified Insurance and appropriate License for their particular area. To start, click on the state on the left hand side of this page. We are also working on a Animal Track Identification page that will help you, the homeowner figure out what type of nuisance wildlife you are dealing with. This is a Nationwide Animal Removal and Wildlife Control Directory. 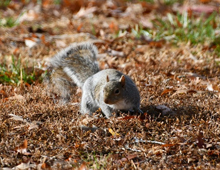 We have many Professional Wildlife Control operators that can assist you with wildlife problems caused by squirrels, raccoons, bats, bees, birds, snakes, birds, fox, skunks, deer, geese, groundhogs, opossums, turtles, rabbits, chipmunks and more. Our verified animal removal professionals take pride in providing full service wildlife removal solutions and are fully insured. Once the problem animals are removed these professionals will provide solutions to help prevent any further wildlife problems. The solutions really work and the results are guaranteed. Wildlife and Animal Removal Professionals listed here can help with Dead Animal Removal, Animal Control and Wildlife Removal. These Nationwide Wildlife Control Operators provide many other services that make our professionals the most complete animal removal agents in the United States. If you have a wildlife problem, give these certified animal control experts a call. 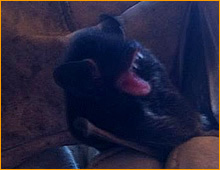 Simple solutions from animal removal to complete attic restoration, one call can do it all. if you are a wildlife removal operator and would like to be listed on our website, please fill out the contact us fourm and we will send you the information that we need from you to be listed in a city that is avaiable. If the city you are requesting is not avaiable, we can place you on a waiting list. Thank You for your interst in our company.